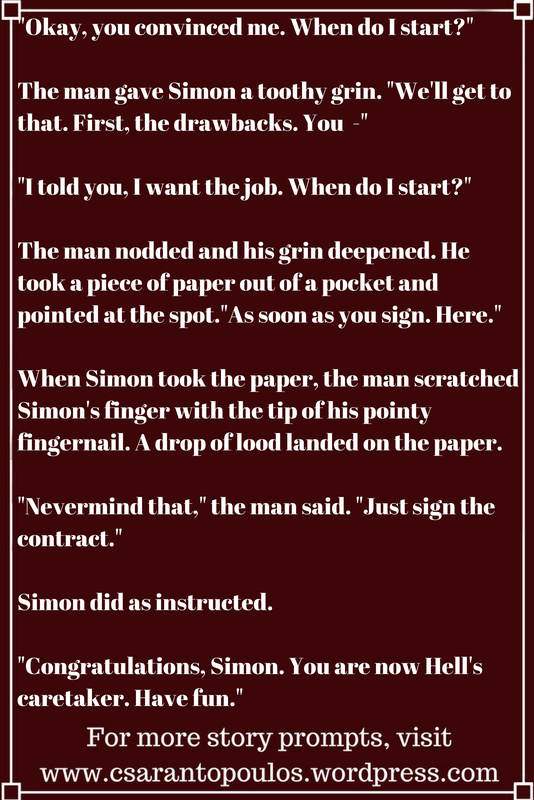 “Do I really get my weight in gold every month?” Simon asked. This entry was posted in Inspirational Prompts and tagged creative writing, idea, inspiration, novel, story, writing, writing prompt. Bookmark the permalink.